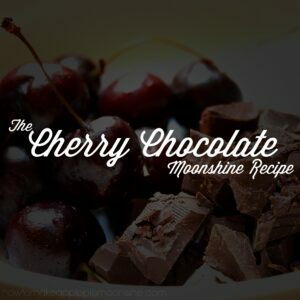 This Cherry Chocolate Moonshine recipe is the literally the cherry on top of any occasion. Making Everclear moonshine mixtures is a great way to mask that potent zing we all love but can certainly live without, especially when it tastes this good. You will certainly be able to feel the moonshine working, but it will taste like chocolate-covered cherries. Who doesn’t love the sound of that? This simple recipe transforms Everclear into a delectable treat to round out any occasion. Step 1. Bring 64 oz. of tart cherry juice to boil in the large pot. Step 2. Add ½ c. white sugar and ½ c. brown sugar to pot. Step 3. Stir for a few minutes until all of the sugar dissolves. Step 4. Add the jar of maraschino cherries ,including juice, to pot. Step 5. Give mixture a final stir to make sure all sugar is dissolved, then remove from heat. Step 6. Allow mixture to cool to about 60 degrees Fahrenheit or room temperature. Step 7. Add 3 c. of Everclear moonshine and 1½ c. of chocolate liqueur. Feel free to increase or vary these ratios to taste, but the combination of cherry and chocolate flavors masks the 190-proof Everclear pretty dang well, so please pour responsibly. Taste tests are encouraged! Step 8. Stir mixture together until properly mixed. Once mixed, pour into Mason jars. Be sure to add the cherries to your jars! They offer a great additional pop of flavor after they’ve soaked in moonshine. Step 9. Seal tight and store in a dry and warm environment, attic or garage will do just fine, for a few weeks to enhance the flavors. Can’t wait that long!? Don’t worry—we don’t blame ya! 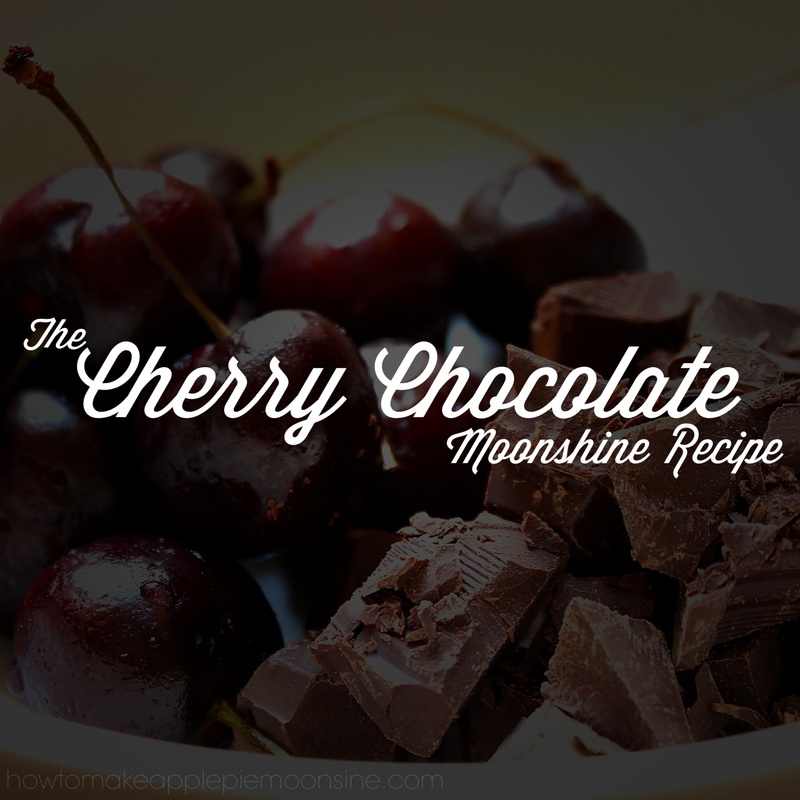 Here is an idea for serving Cherry Chocolate Moonshine right away. Dip the rim of a glass in chocolate sauce. Pour Cherry Chocolate Moonshine over ice. Make sure to add a couple of those maraschino cherries. Enjoy!